The Chiaroscuro Quartet returns to Thornham in June with two concerts presenting Beethoven's first six string quartets: the complete opus 18. 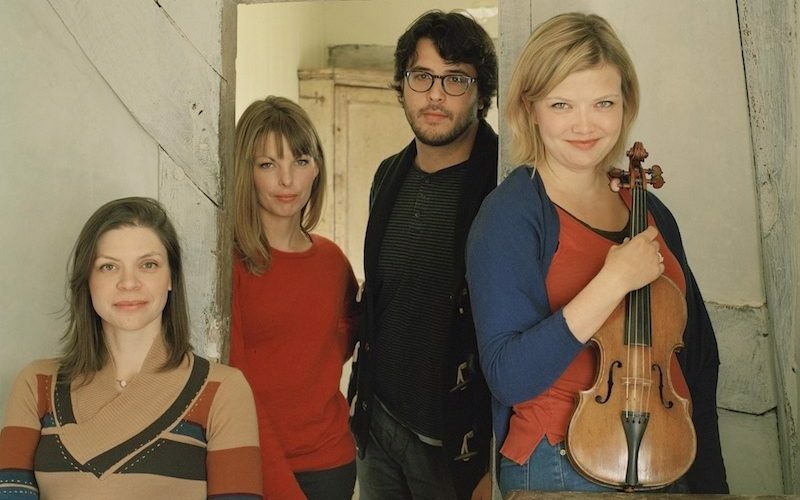 Formed in 2005, Chiaroscuro Quartet comprises violinists Alina Ibragimova (Russia) and Pablo Hernán Benedí (Spain), the Swedish violist Emilie Hörnlund and cellist Claire Thirion from France. Dubbed ‘a trailblazer for the authentic performance of High Classical chamber music’ in Gramophone, this international ensemble performs music of the Classical and early Romantic periods on gut strings and with historical bows. The quartet’s unique sound – described in The Observer as ‘a shock to the ears of the best kind’ – is highly acclaimed by audiences and critics all over Europe. Their growing discography includes recordings of music by Mozart, Beethoven, Schubert, Mendelssohn and Haydn. Chiaroscuro Quartet was a prize-winner of the German Förderpreis Deutschlandfunk/Musikfest Bremen in 2013 and received Germany’s most prestigious CD award, the Preis der Deutschen Schallplattenkritik in 2015 for their recording of Mozart’s Quartet in D minor, K. 421 and Mendelssohn’s Second String Quartet in A minor, Op. 13. Among the ensemble’s chamber music partners are renowned artists such as Kristian Bezuidenhout, Trevor Pinnock, Jonathan Cohen, Nicolas Baldeyrou, Chen Halevi, Malcolm Bilson and Christophe Coin. Recent engagements included their enthusiastically received debut concerts at Vienna Konzerthaus and Philharmonie Warsaw. In April 2016, the quartet embarked on its first tour to Japan playing concerts in Tokyo and Hyogo. Other highlights have taken the ensemble to the Edinburgh International Festival, Concertgebouw Amsterdam, London’s Wigmore Hall, Auditorio Nacional de Música Madrid, Music Festival Grafenegg, The Sage Gateshead (recorded for BBC Radio 3), Auditorium du Louvre Paris, Théâtre du Jeu-de-Paume in Aix-en-Provence, Grand Théâtre de Dijon, Gulbenkian Foundation Lisbon, West Cork Festival and for a residency to Aldeburgh. In the 2018/19 season, Chiaroscuro Quartet gives various concerts in the UK, including Wigmore Hall with Annelien van Wauwe, have a return tour to Japan and are Menuhin Festival Artists at Gstaad Festival. With Kristian Bezuidenhout they perform in Southampton, Bristol, Madrid, Vienna, Washington DC, New York, Montreal and Vancouver. Their latest recording, for BIS Records, is Schubert’s ‘Death and the Maiden’ and String Quartet No.9 in G minor, D.173 released in autumn 2018. Since 2009, Chiaroscuro Quartet has been artist-in-residence in Port-Royal-des-Champs giving a concert series dedicated to Mozart’s string quartets. The Chiaroscuro Quartet will perform all of Beethoven’s op18 string quartets in two concerts.